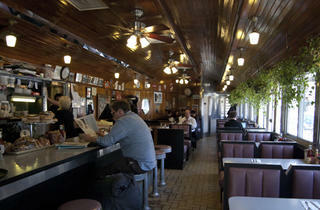 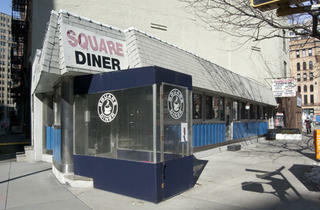 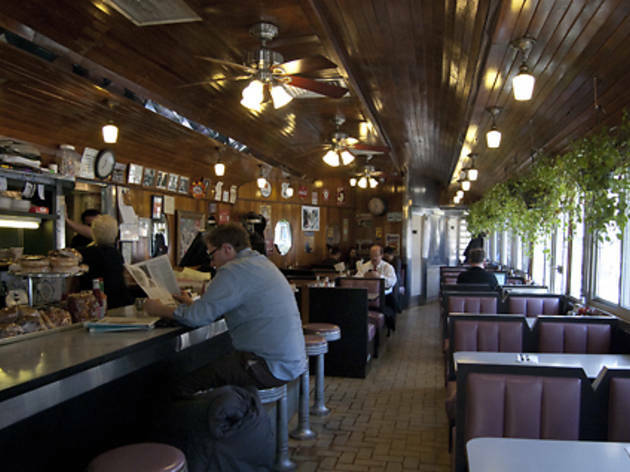 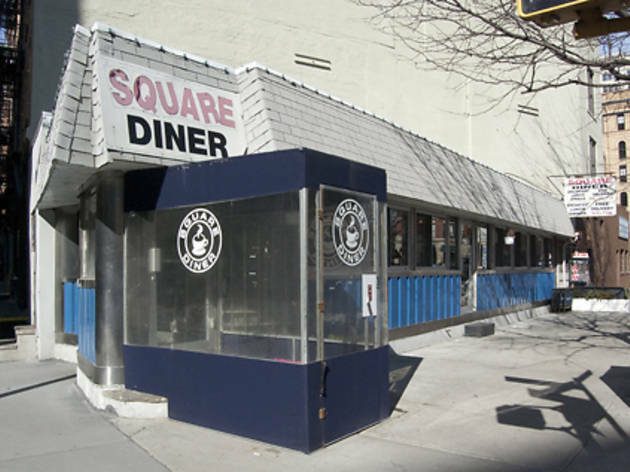 Have a throwback meal—old-school prices included—at this improbable greasy spoon in Tribeca. 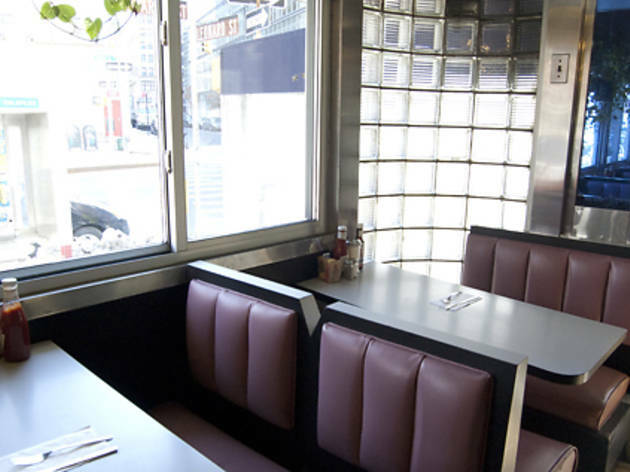 Tots can choose from all the expected diner classics like eggs any-style ($6.75–$12), hot and cold sandwiches ($6–$13.75) and burgers (this joint flips 27 different varieties; $6.50–$12.25). 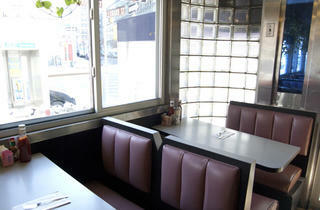 Families can grab some straws and share creamy milkshakes or root beer floats ($4–$4.50) to top it all off.